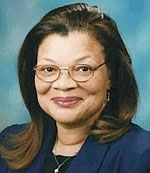 Alveda King posted a statement in support of Herman Cain on her blog. When Mr. Cain says that abortion is bad business, and is hurting America and denying our youngest the civil right to, life, liberty and the pursuit of happiness, that is a dangerous discussion. This is all a dangerous discussion for President Obama and the establishment to have. She is right. And this is the discussion that we intend to have until our youngest enjoy the equal protection of the laws. Dr Alveda King makes a number of other points. Her statement is worth reading.